I did three separate shopping trips this week to stock up on a lot of great deals. Every year during the Publix Viva Italia Sale I stock up on canned goods. 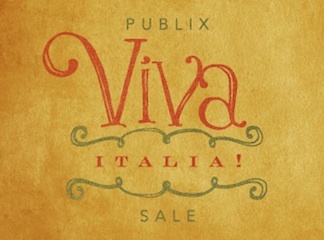 I wasn’t actually planning on doing much couponing this week but this sale literally saves us money all year long because canned good last forever. See my last years shopping trip HERE. These are some of the lowest prices I see all year and they make it really easy to buy canned items in bulk with B1G1s and extra in store / printable coupons (same coupons, two ways to get them). 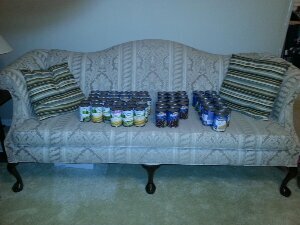 Safe to say I saved a lot of $ and we just this month have run out of the canned items I bought last year. 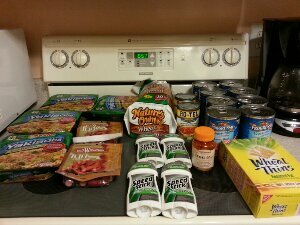 We were also fortunate enough to have been given $45 in Publix gift cards by family members so I used those to pay for most of these items. 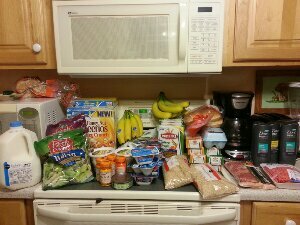 I also used one competitor $5 off of $25 purchase Save-A-Lot Coupon for each transaction. Now I think we are also ready for the Zombie Apocalypse should it hit within the next couple of months. If you are interested in doing any of the deals that I have done in these transactions I will refer you to couponaholic.net and southersavers.com for their deal listings.